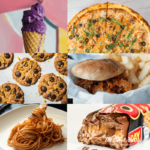 When your week is crazy busy you need easy meals, right! Especially meals that are good at any time of day. Frittatas are the busy cook’s best friend. Endlessly variable, full of protein, and you can customize to suit almost any way of eating. 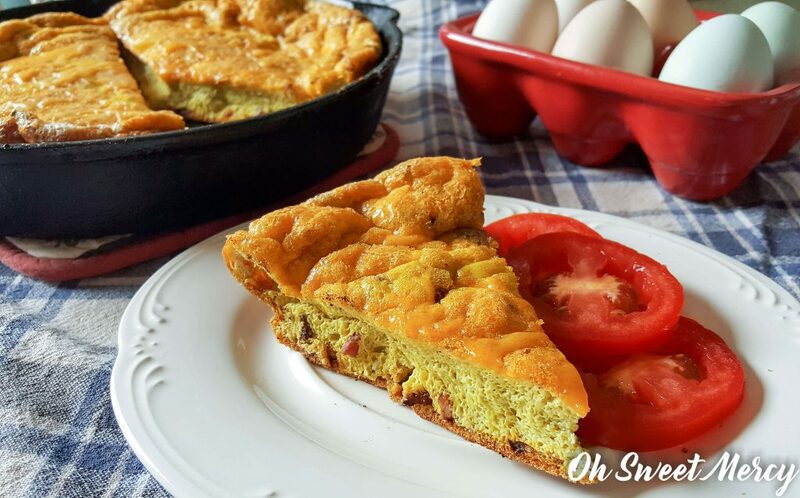 This easy Turkey Bacon, Onion, and Cheddar Frittata saved my bacon this morning and I had to share it with you. Impromptu vacations throw a wrench in the works! When your son calls and says hey, I took a military contract job in Afghanistan for a year and I’m leaving in a couple weeks (and won’t make it back home before I go) what do you do? You hop on plane and go to them! Fortunately for us, he’s living in beautiful Arizona so it was a wonderful trip. 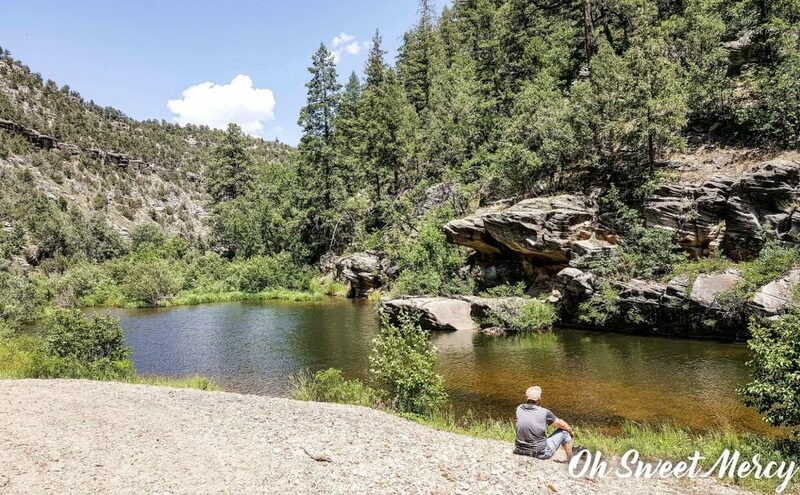 We spent 3 days up north in the “high country” at my in-law’s place and it was a little slice of heaven. 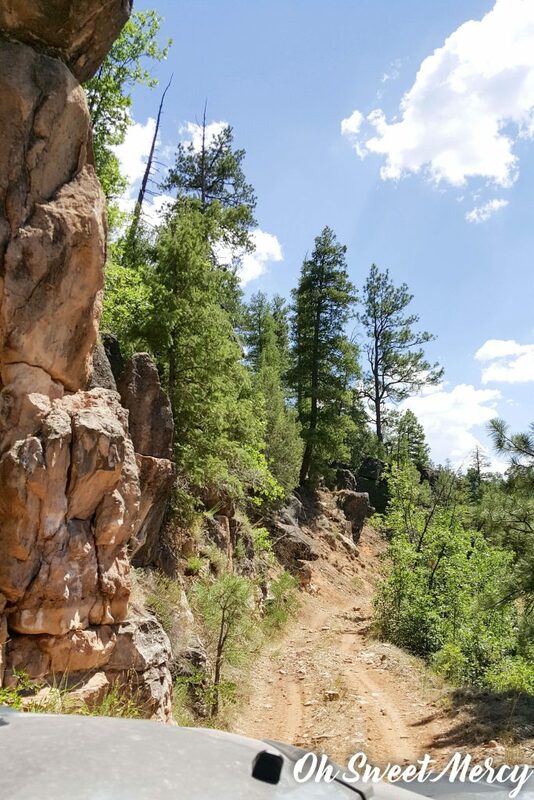 The aroma of Ponderosa pine and juniper was intoxicating! I napped in a hammock. 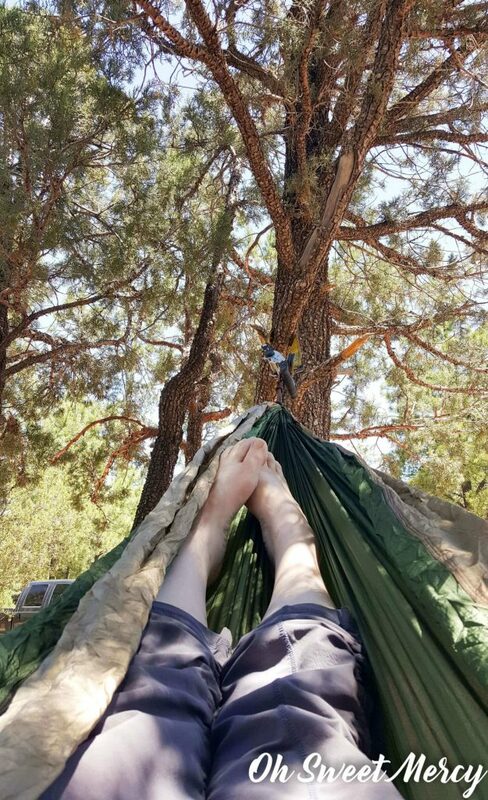 Should you ever get the chance to nap in a hammock surrounded by Arizona high country Ponderosa pine and juniper, I highly recommend you take it! 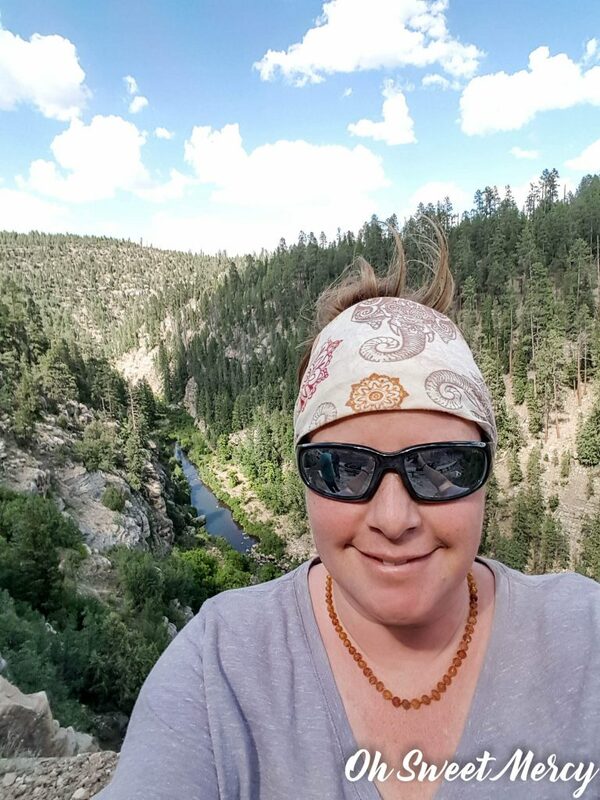 We rode ATVs on some rough and rocky trails and discovered some amazing sights. I’d never driven an ATV before, but I drove that side-by-side like a boss. Hubby had a hard time keeping up with me on the quad! This is what “eating out” should be, sitting in a breathtakingly beautiful location, far away from the bustle and noise of life. It took 2 and a half hours over some slightly scary terrain to get there but it was so worth it! It was exciting to venture out somewhere almost no one knows exists. 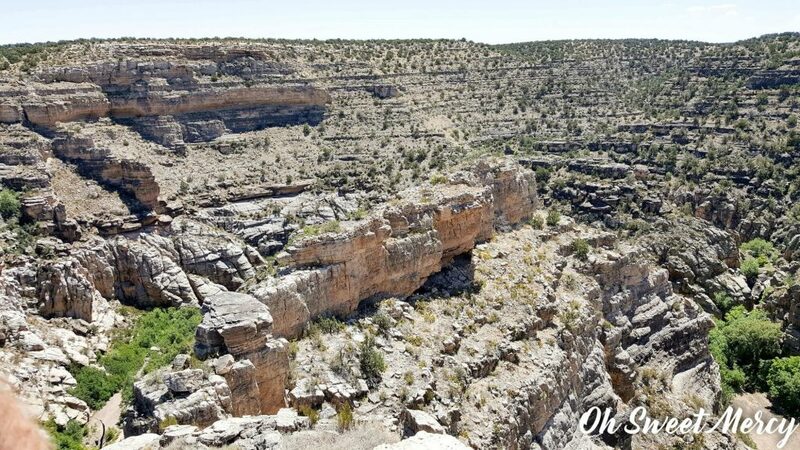 These were some Native American ruins on the top of a cliff by a canyon in the high desert. My father in law doesn’t know anything about the people who once lived here eons ago, and I kept trying to imagine daily life here as a woman. How would you cook, do laundry, keep your adventurous toddler from plummeting to their death below? Mad props to you, unknown Native American mama. Mad props. 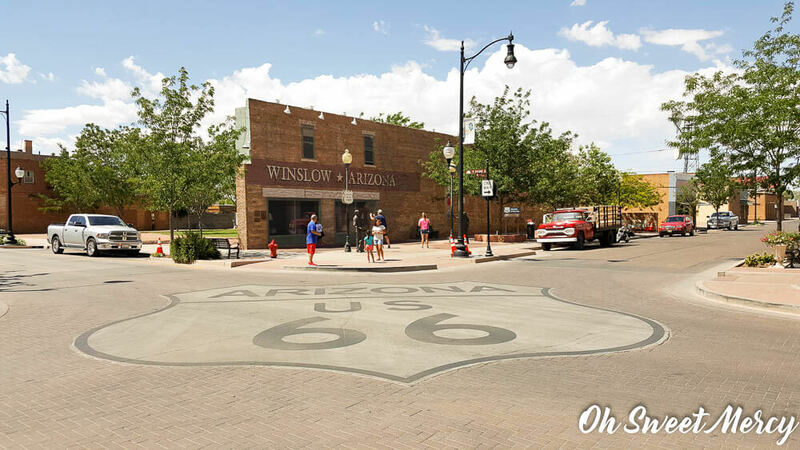 We even stood on a corner in Winslow, Arizona. It was such a fine sight to see 😉 We like to take it easy when we’re in town, of course. The vastness out there was breathtaking. Miles and miles of open sky. 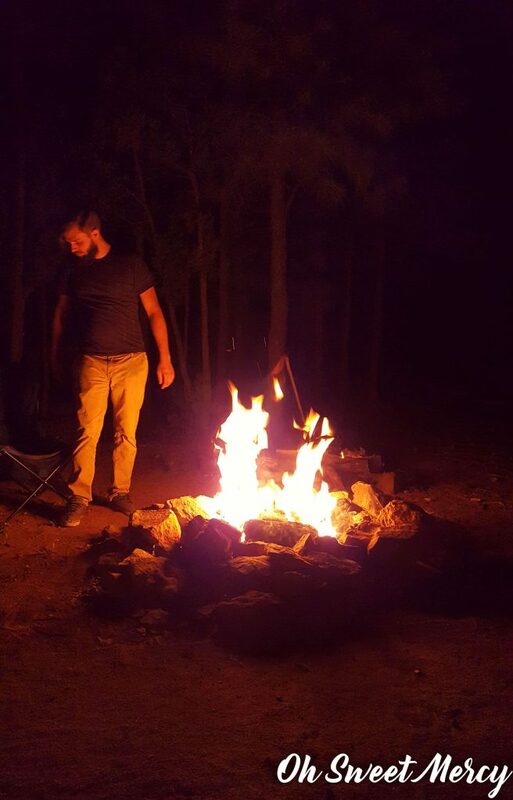 But my favorite part by far was the late nights spent around the fire talking with our adventurous guy heading overseas. He’s lived out west for several years so we don’t see much of him. He’s intelligent, articulate, and while I don’t agree with him on everything (or he with me) we can sit down and talk like two civilized adults. Discovering that we have surprisingly similar interests was golden. Unfortunately, it’s now back to adulting in the real world! This trip was totally unplanned, probably why it was one of our best vacations ever! But now I’m back home and trying to play catch up. 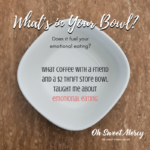 There’s a household to run, a broken dryer to work around, blog posts to write, recipes to test, photographs to take, and a bazillion other things on my to do list. I’m not sure how I’ll get it all done! Thank you, frittata, for saving my bacon today. Throwing together a frittata takes practically zero brain cells and almost as much time. That’s how it saved my bacon – I just don’t have a lot of time right now for complicated meals! 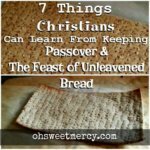 I made sure to write things down as I went though, I know that not everyone feels comfortable throwing things together in the kitchen! This is [Turkey] Bacon, Onion, and Cheddar because my personal convictions are to not eat pork. If you don’t share those convictions I don’t judge you, just use whatever bacon you like. My daughter said she’d like more bacon and in larger pieces, but I liked the way the little pieces almost formed a crust on the bottom. You can certainly just roughly chop the bacon instead of finely dicing it if you like. How this Turkey Bacon, Onion, and Cheddar Frittata fits the Trim Healthy Mama plan. The whole eggs, butter, and cheddar cheese in this recipe means you’ve got a solid, protein-packed S dish here. You’ll want to choose carbs that are allowed in an S meal to go with it, such as a serving of fresh berries. Remember to load up on those non starchies too! 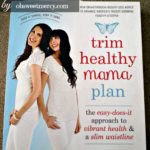 Be sure to consult the Trim Healthy Mama plan book for the details. Read my review here. I use water for my scrambled eggs instead of nut milk, but you can always substitute that if you prefer. Adding Trim Bouillon Mix also boosts the nutrition, and it’s one of my favorite seasonings! I add it to a lot of savory dishes. 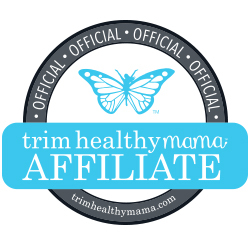 You can find the recipe on page 491 of the first Trim Healthy Mama Cookbook. This recipe is great any time of day, and the leftovers are good too making it a time saver all around. 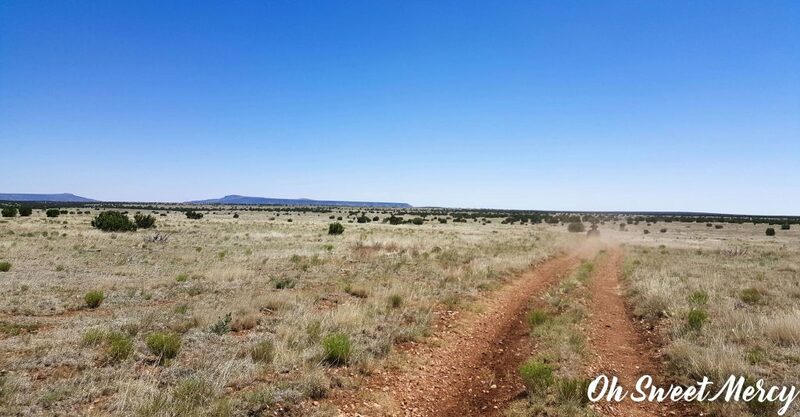 If the gorgeous desert scenery in this post is making you want something with a southwestern flair, add some hot peppers or top with your favorite spicy pepper sauce. You can also try my Low Carb Taco Frittata, it’s delicious and easy too. I’ll leave you with this gorgeous desert sunset. 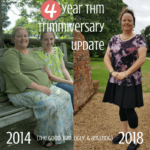 If you’ve stuck around this far [thank you!] 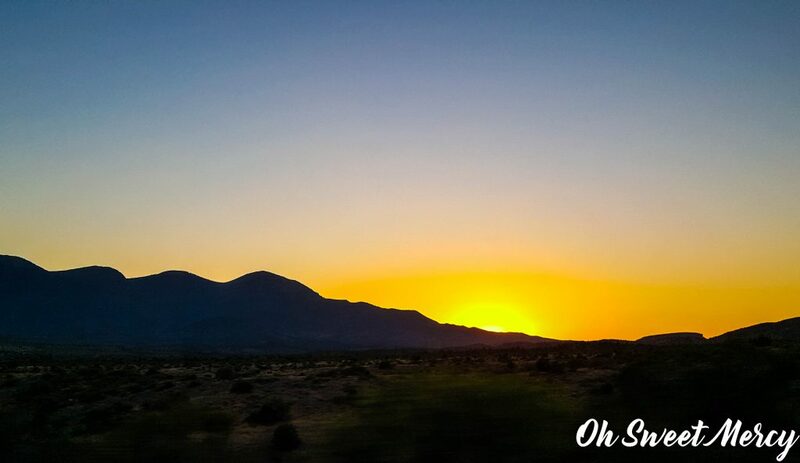 I hope you enjoy the beautiful sunset I captured as we left the high country and headed back down to the valley. I literally had just a minute or two to try and capture this beauty! Sure don’t see those in the Midwest! Sigh…every time I’m in Arizona, I leave a little more of my heart there. Yes, it’s hot. And there really is some truth to that “dry heat” thing. Hot in the Midwest means humid, and that makes you feel like you’re drowning in the air! Dry desert heat, I can deal with that. Are you ready to make this Turkey Bacon, Onion, and Cheddar Frittata? Let’s go! 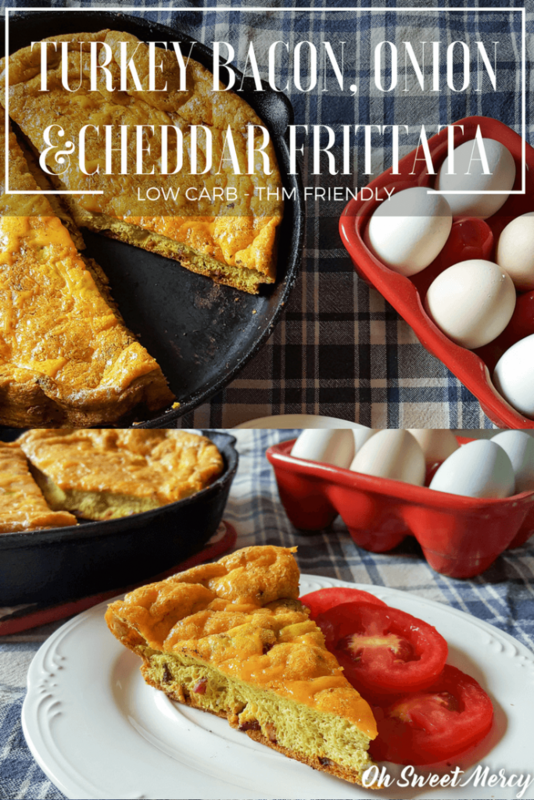 This easy low carb frittata is a quick and protein packed dish! Enjoy with non starchy sides and on-plan carbs for a delicious Trim Healthy Mama S meal. YOU MAY LIKE Printable Habit Tracker - 12 Months of Trim and Healthy Habits! Top with cheddar cheese, then transfer to preheated oven and bake 15 to 20 minutes or until cooked through. Pin this [Turkey] Bacon, Onion, and Cheddar Frittata Recipe to your favorite Pinterest board! « Refreshing Peach Mango Kefir Smoothie – Low Fat and Nut Milk Free!